The oldest Christmas market throughout Germany and Europe is that of Dresden, the Dresdner Striezelmarkt, which is known since 1434. This year it will be held from November 24 to December 24. In the section between the Prager Strasse and Hauptstrasse you will enjou lots of stalls, but in other areas of the city there are other markets, each characteristic of the neighborhood that hosts it, such as that in the old Loschwitz district. The Christmas markets in Berlin are over sixty, the most famous of which are those of Spandau, in the Gendarmenmarkt and the one next to the Charlottenburg-Wilmersdorf palace. Berlin feels very much the spirit of Christmas and for the entire period (from November 21 to December 31) are organized events, concerts and events in all areas of the city: in addition to those already mentioned, you will experience even those in the districts of Mitte, with stalls of crafts and delicacies, the great market of East Berlin with wooden chalets, that of Opernpalais between the Staatsoper and the Opernpalais, the Environmental market in Sophienstraße, that in Alexanderplatz with its ice rink, the Chanukah market at the Jewish Museum Berlin-Innenhof, those in the district of Pankow, including the ecological market at Kollwitzplatz, etc. In Munich, the tradition of Christmas markets is linked to the Christkindlmarkt on Marienplatz, in the city center, which is very ancient as well and dates back to mid-1600. Nearby, takes place also the Creche Fair, with the display of Nativity scenes, from very large to miniatures. In the city and its several districts are held other markets and events (in the period between November 25 and December 24): The Medieval market takes place in the Wittelsbacher Platz, in Odeonsplatz an alpine village is recreated, in Sendlinger-Tor-Platz you can enjoy excellent gourmet meals, in Praterinsel and Haidhausen are set up stalls of all kinds. 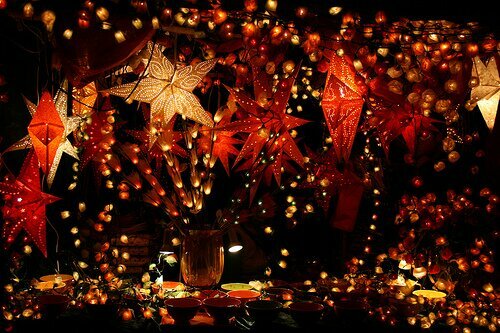 In Hamburg, Christmas markets begin November 21 and close December 31. Second only to that of Berlin, this is the grandest event in Germany: the most important market in the city is held on the Town Hall Square, with chalets and dozens of stalls, but also attractions for adults and children. Other markets will be set up in every district of Hamburg, but also in the suburbs, in Harburger from 18 November to 23 December and, on the same dates, in St. Pauli, Ottensen, Bergedorf and Tibarg Center. Frankfurt am Main, with its old town faithfully rebuilt after the bombing of World War II, deals with a great pre-Christmas market on the Römerberg square, with over 200 chalets OF crafts and food. There are lots of events organized by citizens’ associations and public administration: concerts, exhibitions, major events with traditional songs. Peculiarities of Frankfurt is the regular sound of bells that accompany the feast: the city centre, in particular on November 26, is filled with the dins of dozens of bells from the over ten churches standing in the historical centre. This entry was posted in Events, Leisure and tagged Berlin, Dresden, Frankfurt, Hamburg, Munich..